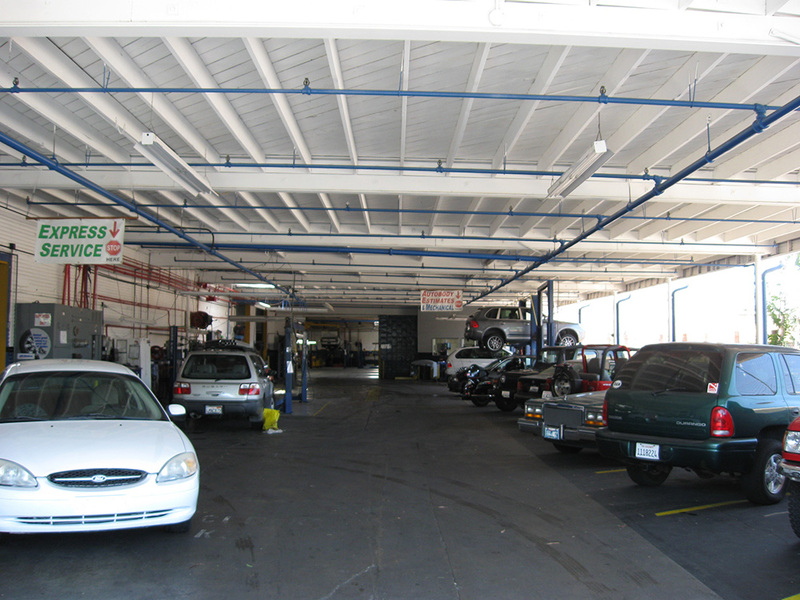 Complete Drive Line Service for All Cars, Trucks, Recreational Foreign, Domestic Vehicles and 4 x 4 Trucks and Jeeps. Custom, New Units and Rebuilt drivelines, new end yokes, U-joints, existing shafts shortened, lengthened. We specialize in high speed balancing of the final assembled drivelines. If you shaft is not balanced with the actual end yoke and U-joints you have not fixed potential vibration problems. 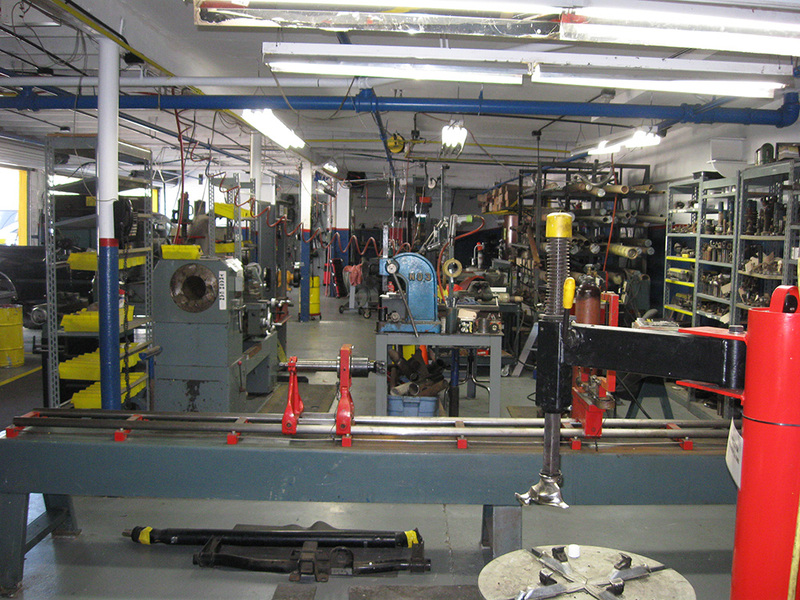 Our shop features the latest in driveline manufacturing and AXILINE balancing equipment. We also specialize in high speed service, all rebuilt drivelines leave our shop within 24 hours after being received. You ship your unit to us UPS pre-paid and we pay the freight back to you anywhere in the US! Small block vans, pickups, and passenger cars. Replaces 6" tail housing. Adapter requires cutting 2" from TH 350 output shaft. Muscle car applications with limited tunnel clearance. Recommended for 1970-81 Camaros, etc. Replaces 9 1/2" tail housing. '90 -'91 SS 1/2-ton pickup or big block pickups, vans and passenger cars with electronic speedometer. Big block pickups, vans and passenger cars, with cable driven speedometer. Big block Chevy and GMC including 6.2 ltr. Diesel. '88 -'91 3/4 and 1 ton std. and ext. cab pickups and vans with electronic speedometer. '84 -'97 Corvettes to replace 700r4. Replaces 6 1/8" tail housing. '91 and newer GM big blocks including 6.2 & 6.5 ltr. Diesels. '94 and newer require GM speed buffer (incl.). Provide rear end ratio and tire size when ordering. TH 700R4 (4L60) 4-Speed Auto Overdrive Trans. Small block vans, pickups and passenger cars with cable driven speedometer. '88-'92 small block vans pickups and passenger cars with electronic speedometer. TH 700R4 (4L60E) 4-Speed Auto Overdrive Trans. '93 and newer small block vans, and pickups with electronic speedo. Requires GM speed buffer (incl.). Provide rear end ratio and tire size when ordering. '96 and newer with 6 bolt extension housing. 3/4 and 1 ton pickups with cast iron 4-speed manual transmission and cable driven speedometer. Muncie 465 4-Speed Manual transmissions. '88-'92 3/4 and 1 ton pickups with cast iron 4-speed manual transmission and electronic speedometer. Replaces tail housing. Uses GM 4x4 adapter(included). '93 and newer 3/4 and 1 ton pickups with 5-speed manual trans and electronic speedometer. Chevrolet, Buick, Olds, Pontiac cars. Replaces 4" output case housing. Full time case needs part-time conversion. Replaces 1 1/8" output case housing. If a slip yoke 205-requires output shaft replacement with GM part # 458499 (Not Included). Replaces 9 1/4" tail housing with slip yoke. Vans and pickups with aluminum case and slip yoke. Replaces both 5 3/4" tail housing and 3 1/2" tail housing, totaling 9 1/4". '88-newer 4x4 GM standard and extended cab pickups with electronic speedometer. Replaces both 5 3/4" and 3 1/2" tail housings, totaling 9 1/4". '89 GM Suburban with cable speedometer. '90-'92 Suburbans with electronic speedometer. Replaces both 5 3/4" and 3 1/2" tail housings, totaling 9 1/4". Requires GM Buffer, (incl.). '93-newer Chevy & GMC with 700R4 (4L60E), '94 4L80E transmission with electronic speedometer. Provide rear end ratio and tire size when ordering. BW 1370 & 4401 Transfer Cases with Fixed Yokes. Replaces 2 1/2" tail housing. '89-'93 4x4 1 ton dually Standard & Extended cab trucks. Check tail length and yoke to confirm. Replaces 6 3/4" tail housing. '89-'93 4x4 1 ton Standard cab trucks. Check tail length and yoke to confirm. BW 4401 Transfer Case with Fixed Yoke. Replaces 2 1/2" tail housing. Requires GM speed buffer, (incl.). '94 4x4 1 ton dually extended & crew cab trucks with 4L80E trans. Check tail length and yoke & provide axle ratio and tire size. Replaces 6 3/4" tail housing. Requires GM speed buffer, (incl.). '94 4x4 1-ton standard cab trucks with 4L80E trans. Check tail length and yoke & provide axle ratio & tire size. Coming as new model Late 2000. Replaces 18 1/2" tail housing. Chrysler vans, pickups and mini-motorhomes without driveline park brake. Replaces 8" tail housing with fixed yoke. '90 and newer Dodge pickup with Cummins 6BT diesel engine. Replaces 12" tail housing with fixed yoke. '70 and newer Dodge Class "A-C" motorhomes, trucks and vans without driveline park brake. 60's and 70's gas cars & trucks. Spicer 1350 front fixed yoke & Spicer 1350 rear yoke. Replaces carrier bearing in 2pc. driveshafts, or becomes a carrier bearing in a single pc. driveshaft. All applications '89-'93 including Cummins 6BT diesel engine. NOTE: 3D0171 carries the Price Code C, however due to increased labor and driveshaft costs, Installation is $200.00 additional. Replaces carrier bearing in 2pc. driveshafts, or becomes a carrier bearing in a single pc. driveshaft. All applications '94-newer including Cummins 6BT diesel and V10 gas engine. NOTE: 3D0174 carries the Price Code D, however due to increased labor and driveshaft costs, Installation is $200.00 additional. Spicer 1350 front fixed yoke & Spicer 1350 rear fixed yoke. NOTE: 3D0173 carries the Price Code C, however due to increased labor and driveshaft costs, Installation is $200.00 additional. '94 and newer 1 ton pickups with 5-speed manual transmissions and mechanical speedometer. '99-newer 3/4 & 1 ton pickups. Requires replacing tail housing with Dodge 4x tail housing (incl.) in order to bolt direct. To be available late 2000. Call & reserve one. Part time cast iron transfer case with 727, A518, Getrag 5-Speed Transmissions. Slip yoke 205 requires output shaft replacement with GM part # 458499 (Not Included). Replaces 4 1/8" tail housing. Light duty pickups and vans with aluminum case and fixed yoke. Replaces both 5 3/4" tail housing and 3 1/2" tail housing, totaling 9 1/2"
'94-newer Dodge 3/4 or 1 Ton 4x4 pickups with either auto or manual overdrive transmissions. Verify 1 pc. or 2 pc. tailhousing prior to ordering. Ford Light duty vans, pickups and passenger cars. Replaces 13" tail housing. Converts long shaft C4 to short 4x4 version. Shortens package by 5 1/2". Muscle Car applications with limited tunnel & driveshaft length. Note: If already a 4x4 version, use price code C.
Replaces 14" tail housing. Also see 3D0063 below. Ford Vans, pickups, class C motorhomes, and passenger cars incl. 6.9 & 7.3 diesels. Replaces 14" tail housing. Uses GV supplied output shaft. Shortens package by 10". Used on some muscle cars and 70's pickups. Replaces 10 1/2" tail housing. '99 newer F 150/250/350/450/550 pickups, vans, and class C motorhomes w/out driveline park brake. '89 and newer 3/4, 1-ton pickups, vans, & class C motorhomes w/out driveline park brake. Plus $200.00 for remote labor/shafts. Replaces 4 1/4" tail housing. '80-'87 3/4 and 1 ton Ford pickups. Replaces 4 3/4" tail housing. '67-'79 3/4 and 1 ton Ford pickups. Replaces carrier bearing in 2pc.driveshafts, or becomes a carrier bearing in a single pc. driveshaft. Fits all applications except '90 and newer std. cab w/gas engine. (Call GV about our direct mount option). NOTE: 3D0173 carries the Price Code D, however due to increased labor and driveshaft costs, Installation is $200.00 additional. '88-newer Ford F450 with driveline park brake. Part time cast iron transfer case. If a slip yoke 205 - requires output shaft replacement with GM part # 458499 (Not Included). Light duty trucks with aluminum transfer case. Replaces 6 1/8" tail housing and 3 3/8" driveshaft flange. 99-newer F 250/350/450/550 pickups with either 4R100 or ZF. Replaces rear transfer case housing. '82-'87 Ford 4x4 3/4 and 1 Ton pickups. '87-newer Ford pickups with C6, T-19 or ZF transmissions. '87-newer Ford full size Broncos. Special CV U-joint drive shaft required. 89-newer Ford van and pickups with E4OD auto. O/D trans. '99-newer F150, Light Duty F250, & Expeditions with 4R100 & 6 speed manual transmission. '96-newer Ford pickups with either an E4OD or ZF transmission. Replaces tail housing. Factory park brake moved to back of 2-Speed. GM P30 Chassis up to 14,500 GCVW with Manual cable park brake. GM P30 Chassis up to 16,000 GCVW with Automatic hydraulic park brake. C6 3-Speed Automatic Transmission with Driveline Park Brake. Replaces 7" tail housing. Replace output shaft with GV supplied output shaft. Park brake moved to back of 2-speed. '88-newer Foretravel and Beachcraft motorhome with Oshkosh rear engine chassis and driveline park brake. TF 727 3-Speed Automatic Transmission. Replaces 12" tail housing. New Bendix brake replaces stk. brake and is moved to the back of the 2-speed. '70-newer Dodge class A motorhome with driveline park brake. '91-'93 P30 chassis with Manual cable park brake. '94-newer P30 chassis with Automatic hydraulic park brake. Requires a GM speed buffer (incl.). Provide rear end ratio and tire size when ordering. '94-newer P30 chassis with manual cable park brake. Requires a GM speed buffer (incl). Provide rear end ratio and tire size when ordering. '88-newer Ford Chassis class A motorhomes with driveline park brake. '93-'98 F450 Super Duty, '98-newer class A & C motorhomes including V-10 engines. This pricing is available at over 700 dealers across the U.s. and Canada.